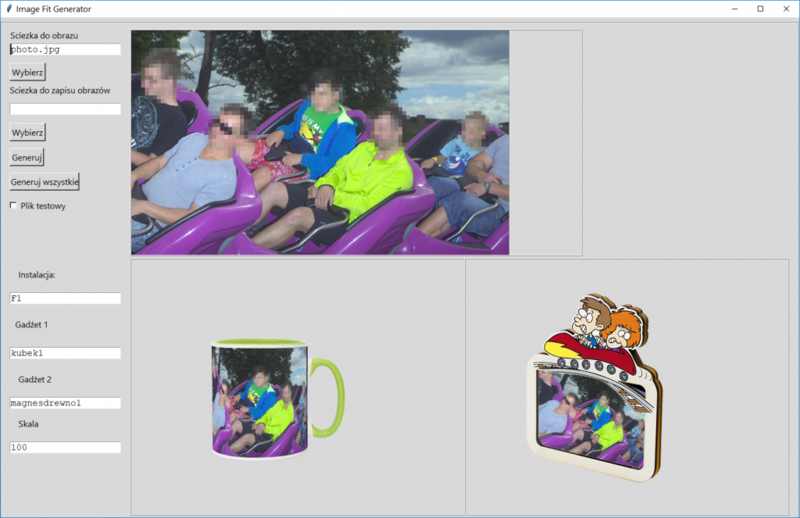 The photoproduct image generator was written in Python script language using OpenCV and NumPy libraries. The application which can be seen on the left is used to manually generate photoproduct images. Moreover, the program can be run in batch mode, it allows to make the process automatic and process thousands of photos. A photography is an input to the application. 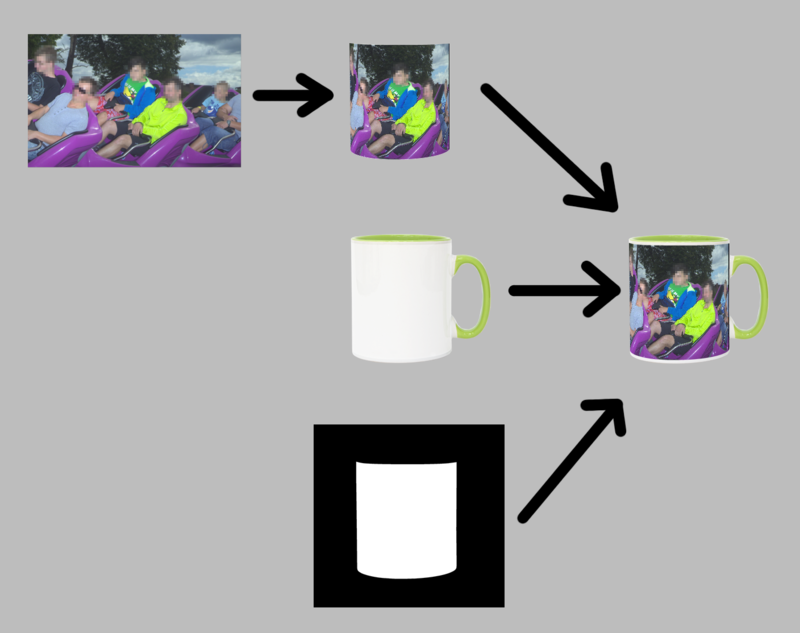 It is to be placed on the product, and in this case the product is a mug, as can be seen on the right. At the beginning of image processing the photography has to be adjusted. The perspective and the shape has to be altered so the photo can fit on the product. The next stage is placing the warped image on the product, for this purpose two images are used. The first one is an image of the product and the second one is a previously prepared template of the product. Using image processing an image of a photoproduct with a personalized image is made and can be used in shop for customers to see.